Dairy industry is of crucial importance to India. The country is the world's largest milk producer, accounting for more than 13% of world’s total milk production. Heating water accounts for more than 30% of the energy in Dairy Industry of India. 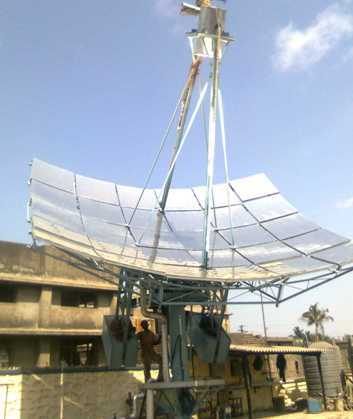 Apart from that Rising fuel prices have had a tremendous impact on milk processing industry now a days, the industry is constantly adopting various technologies to reduce operational costs the result of which various dairies have adopted low cost fuel as an option regardless the pollution &other unhygienic impacts. Today Milk processing plants need to transform &divert their attention to cleaner production/processing&need to opt for renewable energy as a source of fuel. 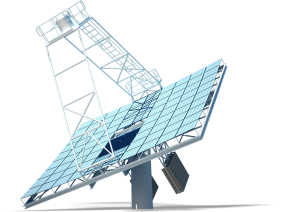 One of such source is Concentrated solar thermal(CST) technologies.